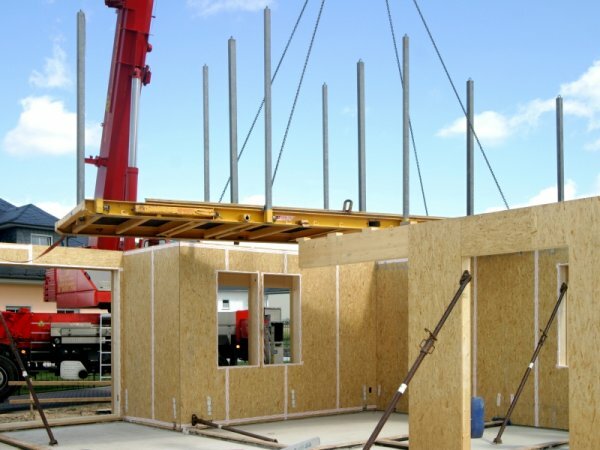 The OSB panels are suitable for structural and non-structural use. The three bonded layers of resinous wood strands arranged at right angles to one another, give a strong and stable panel free of defects and with high moisture resistance. Our OSB 4 is a high performance panel, with an excellent resistance to moisture, stress and impact. OSB 3 must be used in regular humid conditions and OSB 2 is suitable for general use in dry conditions. 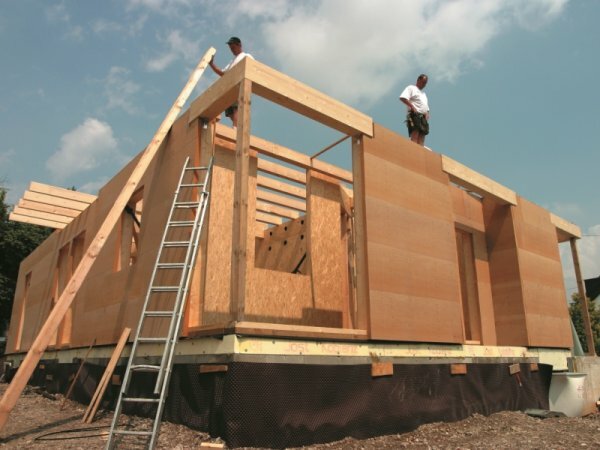 OSB is in fact an eco-efficient option as it presents very good mechanical performances since it uses only small diameter round wood from fast growing species. Advantages: elasticity, flexural resistance, resistance to humidity, versatility, stability, easy to apply, economic solution, ecoefficient. The dry construction method used with AGEPAN® SYSTEM products generates considerably less noise and dust, enabling extensions or building projects in narrow spaces. The quick construction method reduces the length of the financing period for constructors, subsequently saving money. Other potential savings are those of energy costs, since that houses built with the AGEPAN® SYSTEM offer excellent insulation values even with thin wall thickness. External construction elements insulated with the AGEPAN® SYSTEM prevent thermal bridges and the formation of condensation on inside walls, ensuring an optimum indoor climate – particularly for rooms under the roof. Advantages: pressure resistant & stable, durability, low weight, one-stop solution, easy to work with, environmentally friendly, for an healthy living.